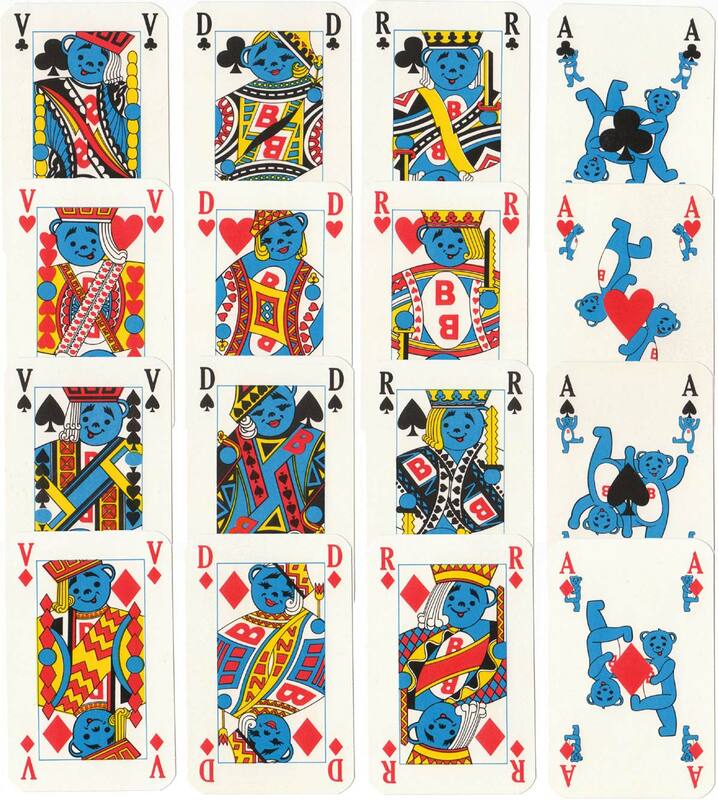 Cute “Butagaz” cartoon playing cards made in Belgium by Carta Mundi for the French gas company, featuring the teddy bear mascot, c.1976. 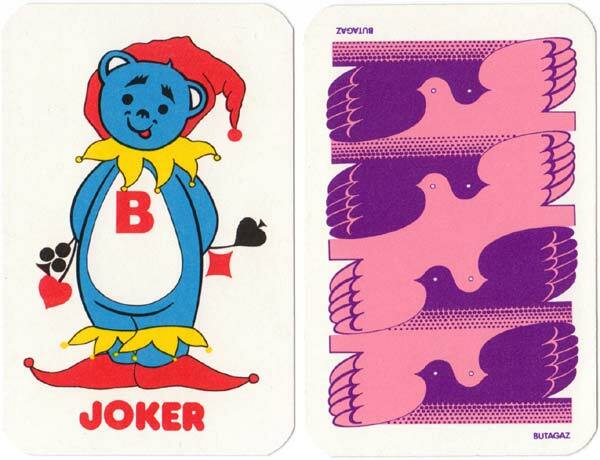 Above: “Butagaz” playing cards made in Belgium by Carta Mundi for the French gas company, with the teddy bear mascot, c.1976. 52 cards + 2 jokers + contract bridge score card. Images courtesy Rex Pitts.